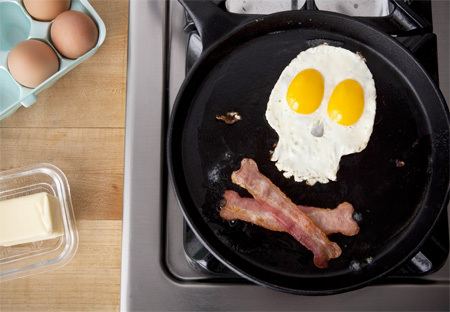 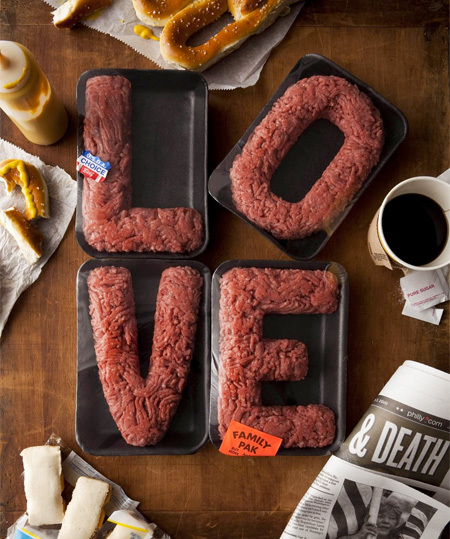 While some of the world’s greatest chefs consider food to be an art, Philadelphia based artist and photographer Dominic Episcopo takes this description quite literally in his own work. 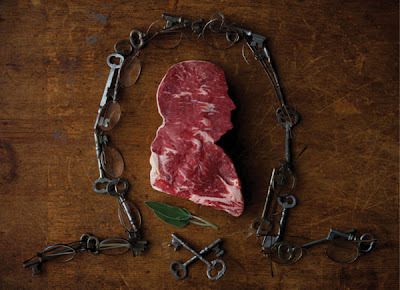 His unique series of food photography features delicious looking creations made out of fresh meat. 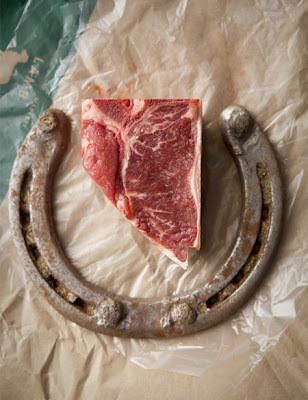 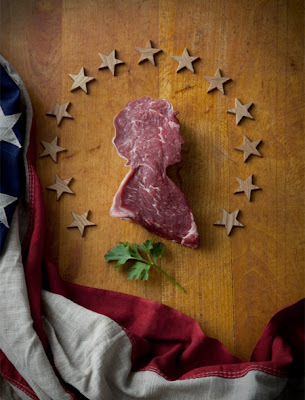 Titled “Meat America” displays American iconography with America’s favorite food - meat. 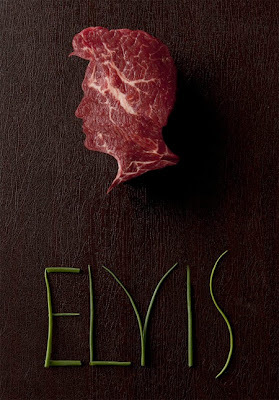 This project celebrates American appetite for insurmountable odds, limitless aspiration, and immeasurable success. 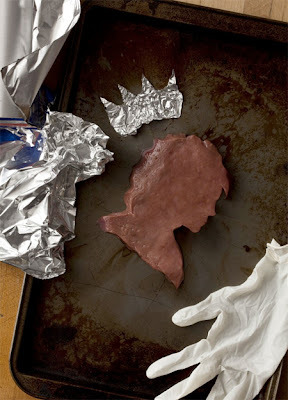 Maps, famous figures and more are displayed in this series, in careful detail and not without a good sense of humor. Episcopo’s subjects are carefully sculpted, well-framed and decidedly narrative, reflecting part of American culture in each shot. 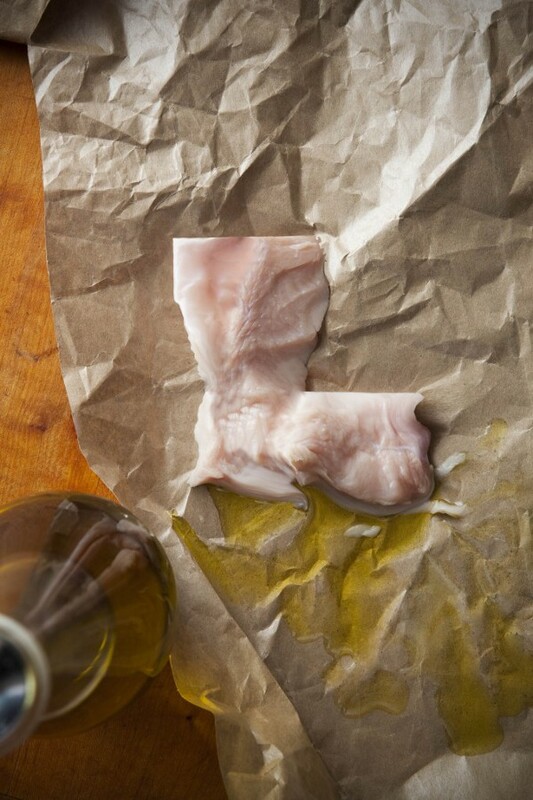 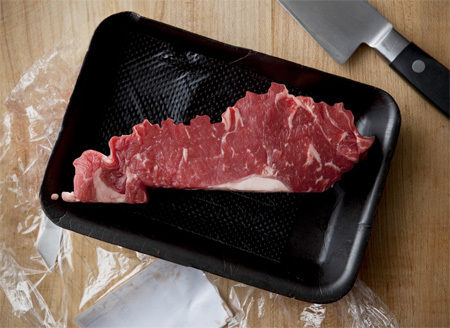 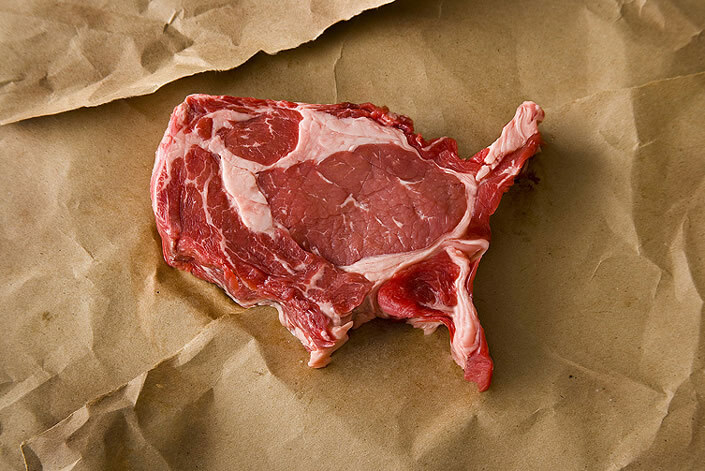 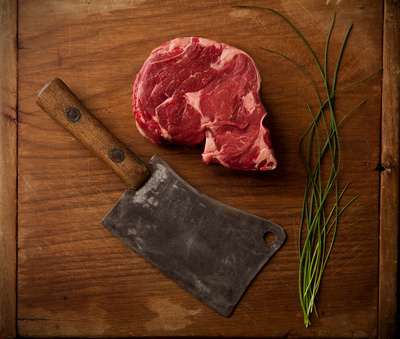 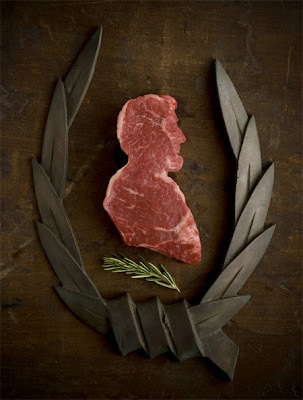 Raw meat was carefully carved to resemble famous people, maps, incident, culture and symbols of America. The oil on the paper pictured above - the state of Louisiana is no mistake, representing the BP oil tragedy that befell the Gulf of Mexico in the Summer of 2010. 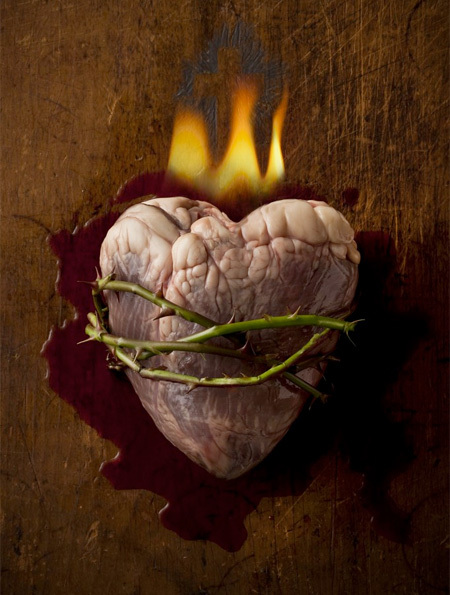 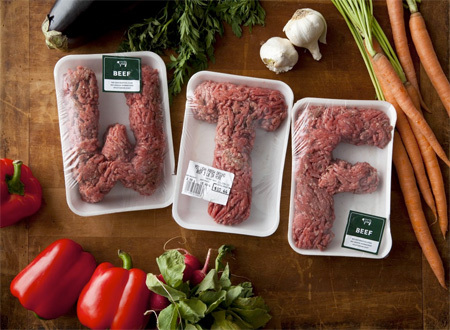 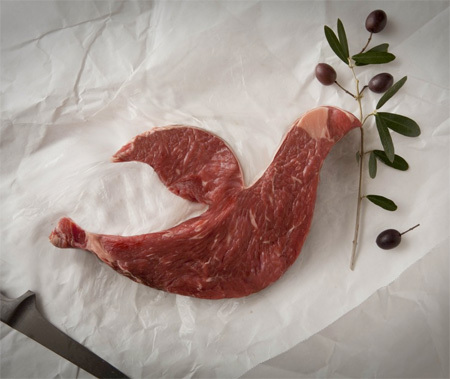 Now, let's take a close look at some more example of such a creative meat art by Philadelphia based artist Dominic Episcopo.